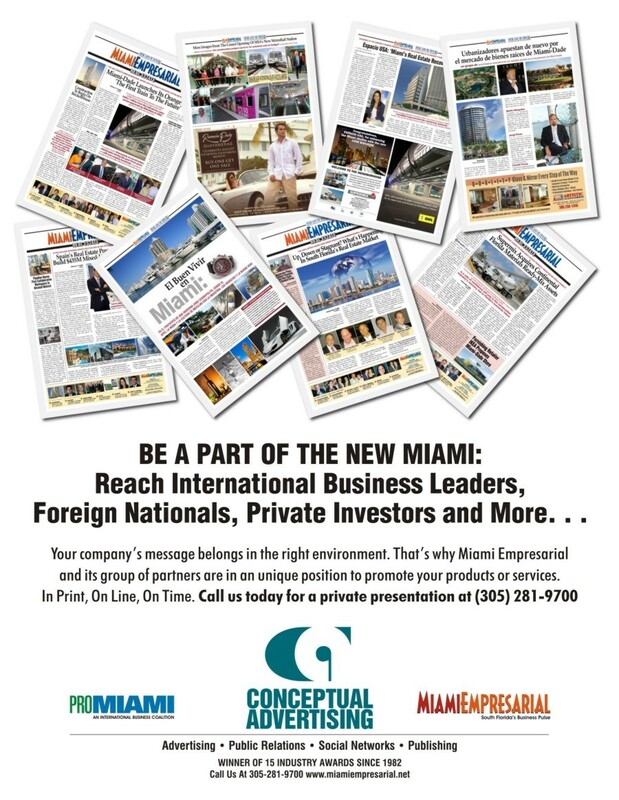 USHCC: “Job Creators” in Miami Beach – Miami Empresarial Magazine: The Business Pulse of South Florida. Big plans were drawn up and even loftier expectations were anticipated during the past year, as the board of directors and staff at the United States Hispanic Chamber of Commerce organized the association’s 32nd National Convention in Miami Beach. If anything, the closing gala at the Fontainebleau Hotel left little doubt that Convention Chairman Gabriel Pascual and the USHCC team had more than met every objective set out for them and, in fact, exceeded their own dreams of creating the largest, most successful and prolific meeting of Hispanic business leaders ever. With stirring words of welcome and appreciation, the evening’s featured speaker, ING‘s Jacqui Robertson, gave way to an elegant, yet emotional ceremony driven by a sense of unity, accomplishment and purpose. After recognizing the dignitaries in attendance, USHCC’s Board Chairperson Nina Vaca Humrichouse offered a rousing “State of the Chamber” speech, in which she elaborated some of the programs and services “near and dear” to her heart that the organization, which represents 3.1 million Hispanic businesses in the U.S. affiliated to 200 local chambers throughout the 50 states, rolled out this year. Among those programs was also the Visa® Acceptance Program to fund local chambers; the HBE Membership Program to assist firms in developing their business on a national level; and the organization’s award-winning Matchmaking sessions, which brought together 112 Hispanic Business Enterprises and 70 corporations, completing over 1,500 individual matchmaking relationships at the convention. The Coors Miller Brewing Company was the object of a special mention, in honor of the 31st anniversary of affiliation with the USHCC. The company has invested $1.7 million to its Urban Entrepreurship Business Plan Scholarship Program and Contest to develop entrepreneurship skills. In closing her “State of the Chamber” presentation, Ms. Vaca Humrichouse announced that the USHCC is taking steps to transition from an organization into an institution, and that the current administration had “taken the selfless act” to implement term limits —6-year terms for directors, 1-year terms for chairpersons and 1-year terms for vice-chairs— and broaden the scope of the board of directors to admit corporations. Maybe the Chamber could help the many unemployed Hispanics by setting a website for this purpose.